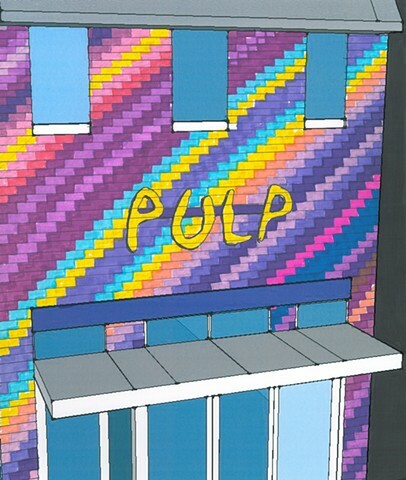 I was briefly in discussions with Pulp's management to have this happen. It did not happen. It would have looked really cool. I'd love to see these kind of stripe-y colorfields festooned on brick buildings throughout the DMV.